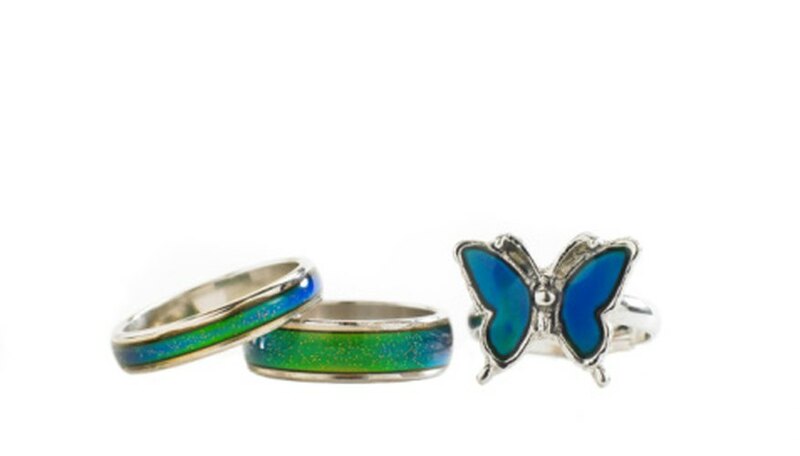 Mood rings have always been something of a novelty, with their decorative stones that supposedly change color based on the mood of the wearer. There's more to these changing stones than meets the eye, however; these and a few other rare gemstones are what is known as phenomenal. This category includes other optical effects, with color change being perhaps the most striking of all. Alexandrite is a gemstone originally mined from the Ural Mountains deep in Russia. In the bright sunlight, the gemstone has a green or blue tint. Beneath artificial light, however, it takes on quite a different appearance when it changes to shades of deep red and purple. The stone is a combination of a number of different elements such as titanium, beryllium and iron. It also includes chromium, which gives the gem its almost mystical properties; so mystical, in fact, that it was not only deemed the national stone of Russia but named after the man who was czar at the time of its discovery. Because this combination of elements rarely exists in the same area and requires very specific conditions to form into a stone, alexandrite is extremely rare. Zultanite is a fairly recent discovery that has come out of the mines of Turkey. The stone itself is highly transparent, and tinted with colors that change with the light it is viewed under. In natural light, the stone appears to have a green hue, changing to pinkish-red when exposed to candlelight. It can also changed based on the colors that surround it -- when placed against different colors it will take on different hues and tints. The color change properties of zulanite are based largely on the angles of the cut, making finished stones much smaller than the raw gems. Most finished stones are only about 2 percent of the size of the original pieces brought out of the mines. Extremely rare, a single mine in Turkey is the only place it is found. Diaspore is another color-changing stone that comes from the Ural Mountains of Russia, the home of alexandrite. Unlike alexandrite, diaspore is also found throughout Poland, Switzerland, South Africa and even in areas of the northeastern United States. The gem has a transparent quality with color hues that change based on the type of light it is exposed to. In daylight, color tones can range from clear or a mild yellow and pink to pale brown or champagne. When exposed to artificial light, the stone will change to a vibrant pink, with the color change most noticeable in stones that are brown or greenish in the daylight. Regular garnets have no color-changing properties, and have long been thought to be naturally formed in every color except for blue. Recent discoveries by gemologists have shown that there are blue garnets after all, and these extremely rare stones have color-changing properties. In the daylight, the color of the stone ranges from a muted gray-green to pale blue. Under artificial light, the garnet will darken to a deep purple, with some specimens having hints of burgundy. The same properties and minerals, such as chromium, that give alexandrite its properties are at play in garnet. Generally, the larger the stone, the less drastic the change and the more foggy the color. What Types of Crystals Are Found in Geodes?